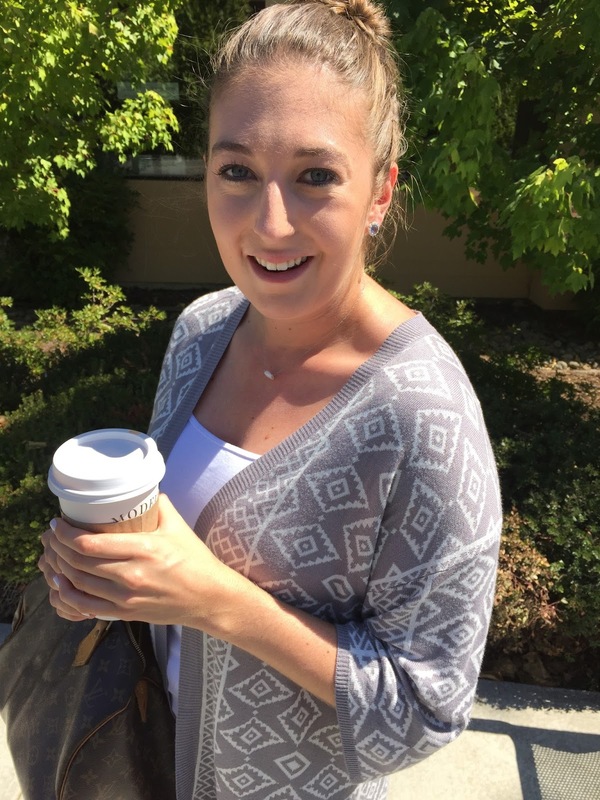 Five new outfits from Stitch Fix! Magnolias and Sunlight: Five new outfits from Stitch Fix! 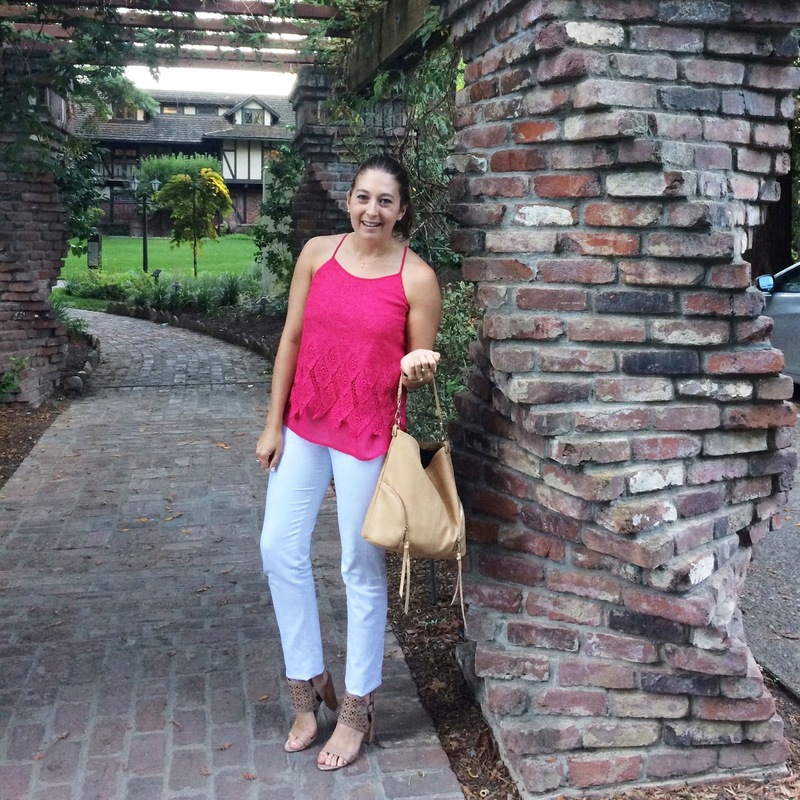 Five new outfits from Stitch Fix! Oh hey! I got a Stitch Fix box and for the first time I kept all five pieces, mostly because it was cheaper to keep the five pieces than just the three that I really liked! But here is how I styled them! 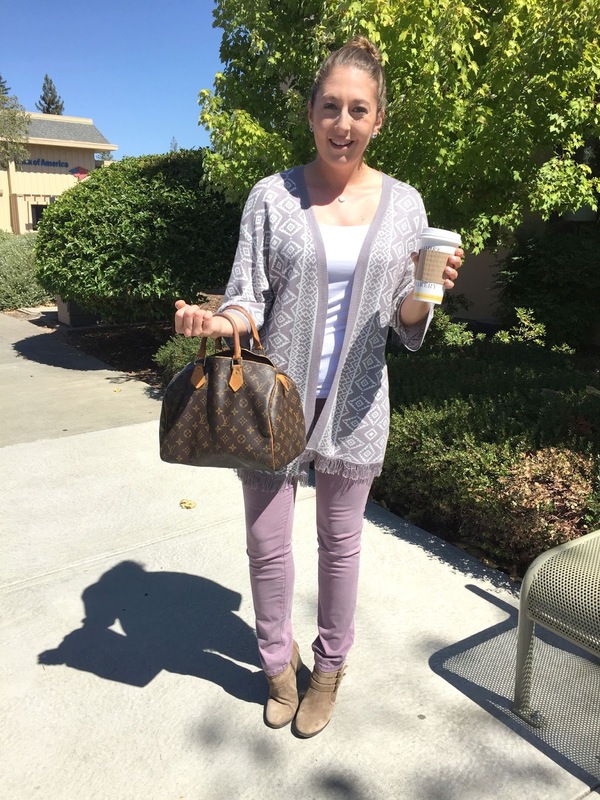 I immediately fell in love with this fringed cardigan! 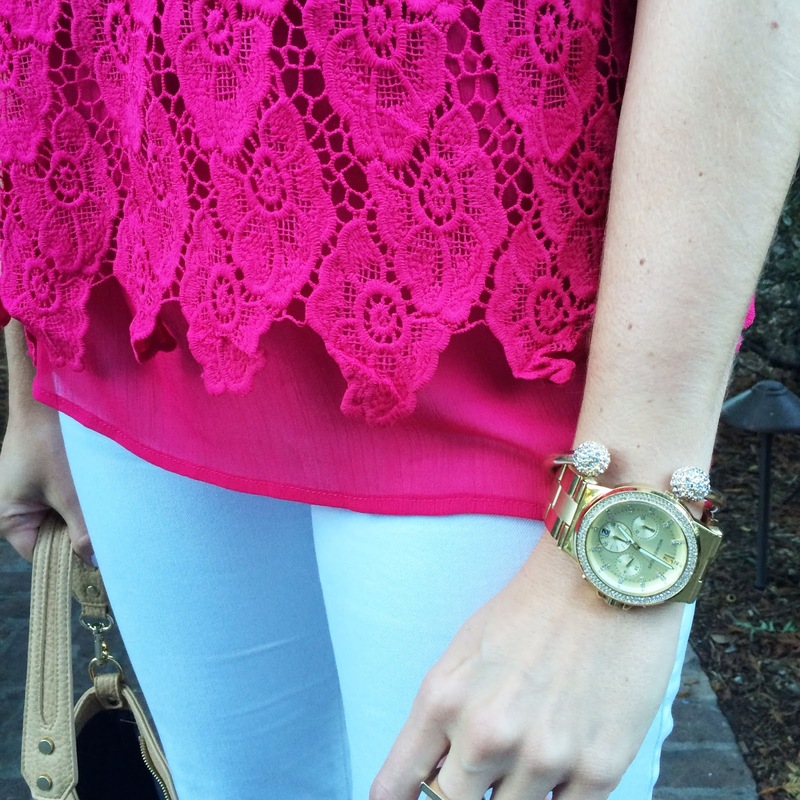 I love that the sleeves are short because it makes it the perfect piece to transition from summer to fall! 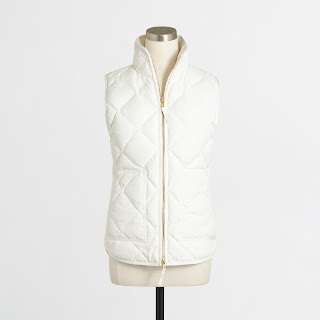 I can wear it now with a white tank and then when the temp drops I can put on a fitted, long-sleeve white tee or sweater underneath for extra warmth! I was super unsure about these pants when I first saw them in the box. I am not one to wear purple, but it is a super popular color for this fall, so I went in with an open mind. When I put them on I decided that these were worth adding to my wardrobe. I've wanted to add some colored pants to my repertoire for a long time. It's a great way to be comfortable, but not get stuck in a rut by wearing your Levi's every day. Also, these fit great and are super comfortable. This top is so bright! I had no idea what it would look like on because on a hanger it looks pretty triangular, which we all know isn't terribly figure flattering. I tried it on and was very surprised by how well it fit! I don't know how much I will wear it this fall and winter because of the color, but I will definitely be taking advantage of it while it's still 90 degrees outside. 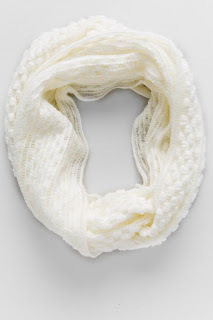 It also looks cute with dark skinny jeans and layers great under a white cardigan! 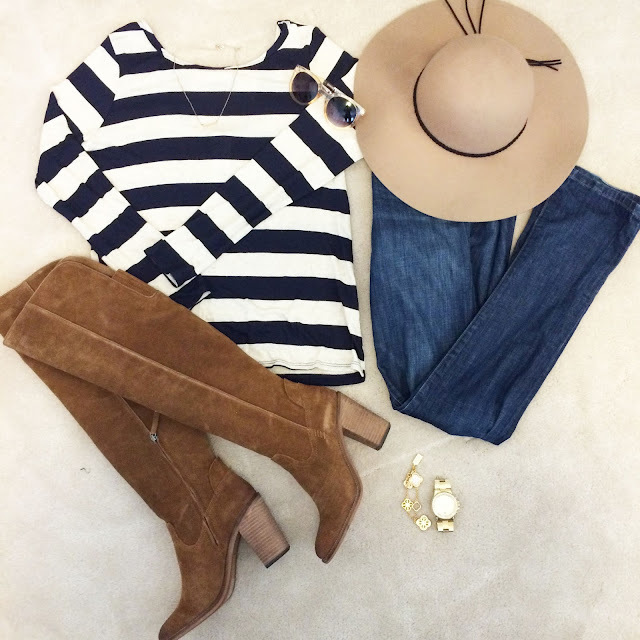 This outfit is something I plan to wear very soon! This piece I wasn't sure about because it's a pretty simple sweater that I could probably find at a cheaper price, but since I wanted the three pieces above it ended up only costing a few dollars. If you've never used Stitch Fix before then let me explain. You are charged a $20 styling fee for each box. If you keep an item from the box then that fee is deducted out of the price of the garment, but if you send it all back you're charged $20. If you keep all five pieces then you're given 25% off all of your pieces. So I could pay for the full price of three garments minus the $20 or in this case pay $11 more, get the discount, a sweater and a dress. In a convoluted way I got the sweater above and the dress below for $11, which is cheaper than Forever 21! I also can't wait for the temperatures to drop enough that I can switch out the hat and sunglasses for a more wintery look and add these! Click the images to find the products! This dress fit fine, but I wasn't sold on it because the print and color (once again purple) just aren't really me. But as I described above, I needed to keep it for the discount. I think I will definitely wear it or I might sell it on Poshmark, but either way this is how I would style it. I would try to make the paisley print a little edgier with all black accessories and a little leather to go with that lace trim. I think pairing this with a black cardigan would work too, but I would feel to much like a librarian. 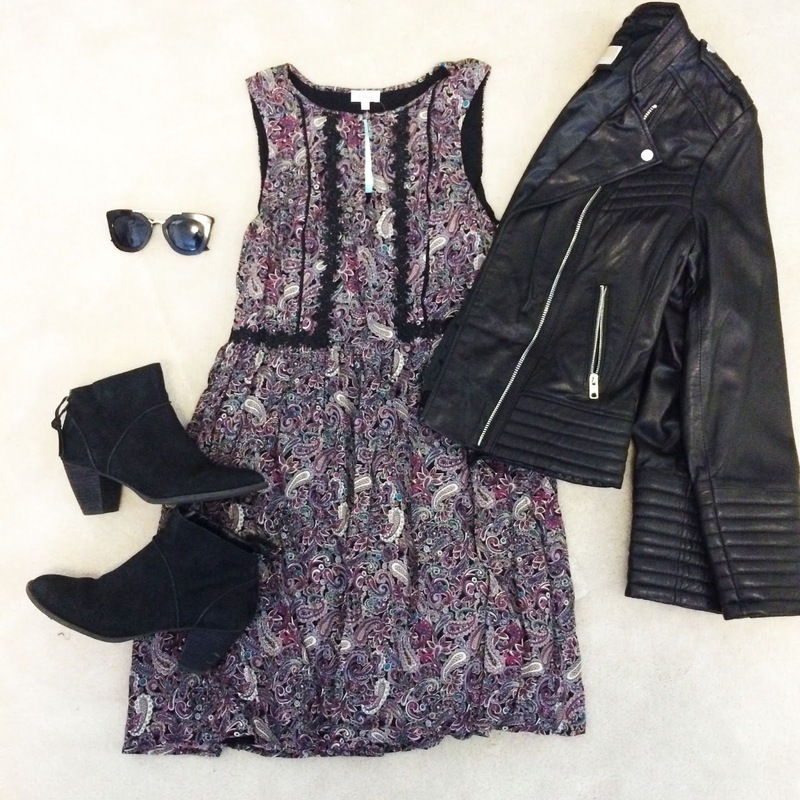 I can this dress transitioning into to fall just fine, but add a pair of black tights to stay warm! If you love any of the pieces, let me know! How would you style them? 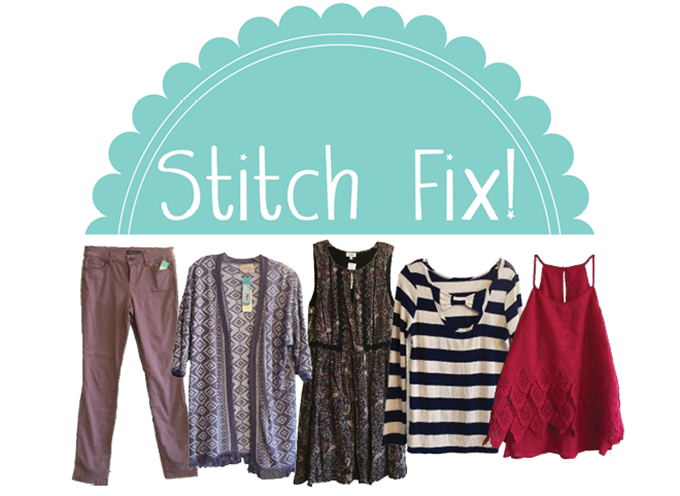 If you're interested in Stitch Fix, I encourage you to check it out! I don't always love everything I get in my box, but it also helps keep current trends in your closet without having to go to the mall. It's all about LEG DAY! Monday Night Football Halftime Burn! Look Great at the Gym!